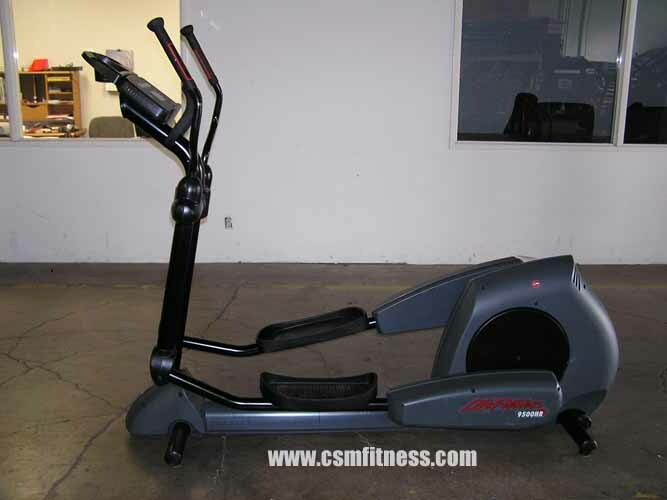 The Life Fitness CT9500HR rear drive crosstrainer is the top crosstrainer choices for health clubs, armed forces and athletic training centers. The Life Fitness CT9500HR rear drive crosstrainer features the Lifepulse™ digital heart rate monitoring system which is the most accurate way to calculate individual heartbeats. The Life Fitness CT9500HR rear drive crosstrainer is a total body rear drive crosstrainer; the lower body unit provides the cardiovascular and muscular benefits of running with low impact and the upper body arm unit provide the ultimate total body workout.